It was an amazing feeling to raise the trophy at Colonial as Crowne Plaza Invitational champion. My game has been really strong and I've taken advantage where it's been appropriate to attack the course. 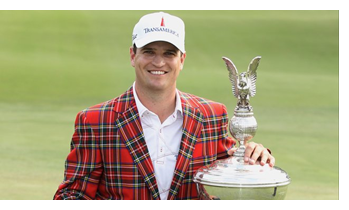 This is a good time to be playing well, carrying positive momentum into the U.S. Open. Another highlight this year has been joining GolfLogix. On the PGA Tour we are fortunate to have caddies and detailed yardage books for every course. You have a tool that's just as good, with aerial flyovers, club tracking, precise distances to the pin or other key points on a hole and the ability to write digital yardage book notes. I've really enjoyed using these tools within the coolest app in golf. 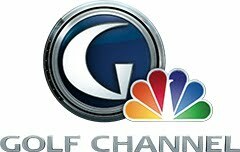 In addition to the app itself, getting to know the GolfLogix leadership and interacting with the community has been outstanding. The team in Scottsdale is smart and innovative, creating incredible technology that we all enjoy to play better golf. I've also received generous support from many members, who have sent me Twitter messages about their GolfLogix experiences and my performance on Tour. Believe me when I say that I read them all. Thanks for your encouragement. Keep it coming! Hope you're all in full swing with your golf seasons. If you haven't yet tried the new GolfLogix features, check them out. They'll have a positive impact on how you play. Click here to see my entire round, hole-by-hole in the GolfLogix online community!